Sterling Silver Scrolled Locket Necklace with Diamond Accents. 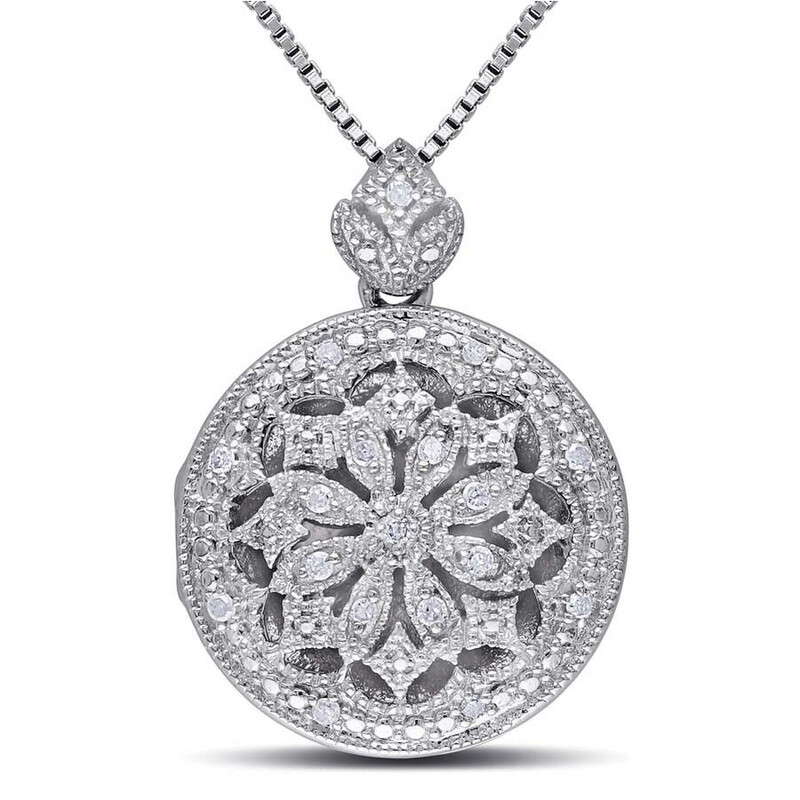 16"
Sterling Silver Floral Oval Locket Necklace with Diamond Accents. 16"
Sterling Silver Scrolled Heart Locket Necklace With Diamond Accents. 16&..
Sterling Silver Looped Locket Necklace with Diamond Accents. 16"
Sterling Silver Heart Locket Pendant Necklace With Diamond Accents. 18&q.. Single Initial - Sterling Silver Round Floral Locket Pendant Necklace With D.. Plain - Sterling Silver Round Floral Locket Pendant Necklace With Diamond Ac..
.18 ct. t.w. Pave Diamond Star and Moon Locket in 14kt Yellow Gold. 16&q..
Monogram - Sterling Silver Round Floral Locket Pendant Necklace With Diamond..
.16 ct. t.w. Diamond Moon and Star Locket Necklace in 14kt Yellow Gold. 18&a..
.14 ct. t.w. 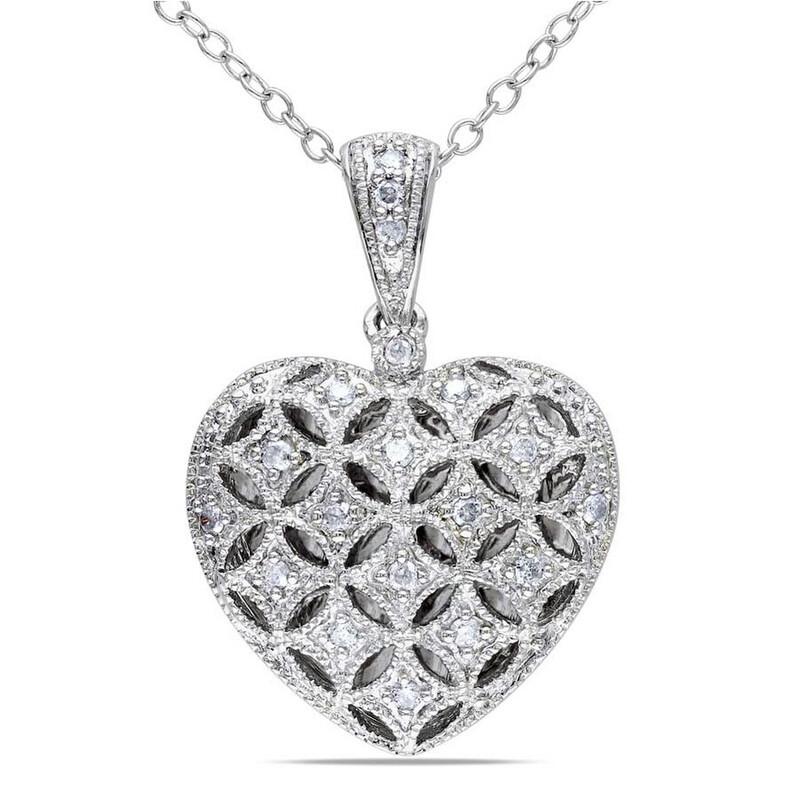 Diamond Filigree Heart Locket Pendant Necklace in Sterling Silv..
Jewels-Mart.com is an affiliate site. That means we provide you the images and description of the products and then we give you a link to the seller's page where you can buy that product. Our partnership with the sellers from all over the world helps us keep working on this site and continue to advertise the sellers' products. Thank you for choosing us!